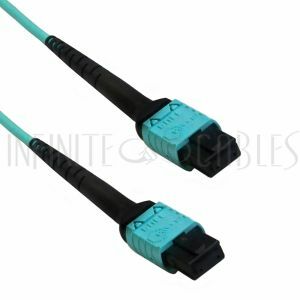 A "mode" in Fiber Optic cable refers to the path in which light travels. 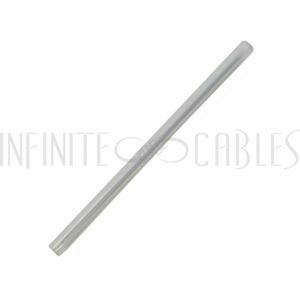 Multimode cables have a larger core diameter than that of singlemode cables. 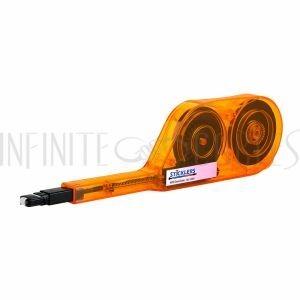 This larger core diameter allows multiple pathways and several wavelengths of light to be transmitted. 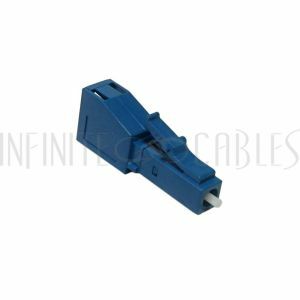 Singlemode Duplex cables and Singlemode Simplex cables have a smaller core diameter and only allow a single wavelength and pathway for light to travel. 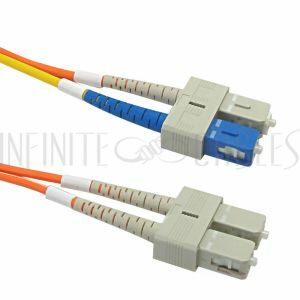 Multimode fiber is commonly used in patch cable applications such as fiber to the desktop or patch panel to equipment. 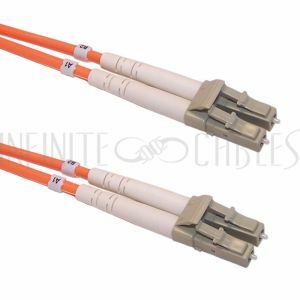 Multimode fiber is available in two sizes, 50 micron and 62.5 micron. 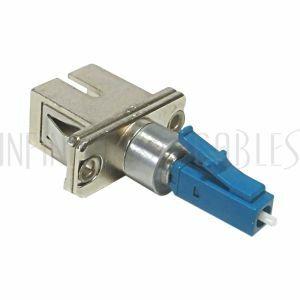 Singlemode fiber is typically used in network connections over long lengths and is available in a core diameter of 9 microns (8.3 microns to be exact). 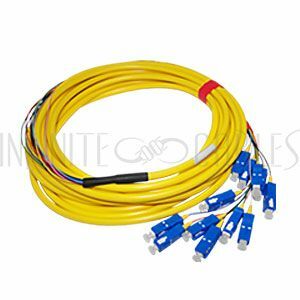 Both 50 micron and 62.5 micron fiber optic cables use an LED or laser light source. 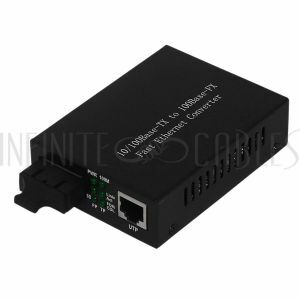 They are also used in the same networking applications. 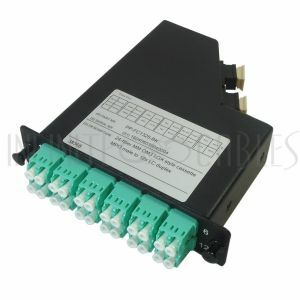 The main difference between the two is that 50 micron fiber can support 3 times the bandwidth of 62.5 micron fiber. 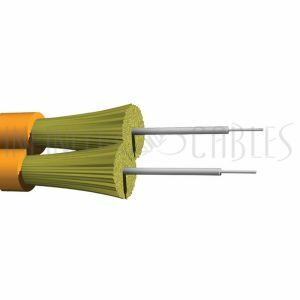 50 micron fiber also supports longer cable runs than 62.5 micron cable. 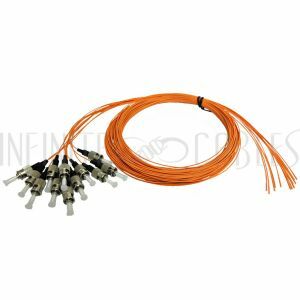 Infinite cables carriers a complete line of 50 micron, 62.5 micron and 8.3 micron fiber optic cables. 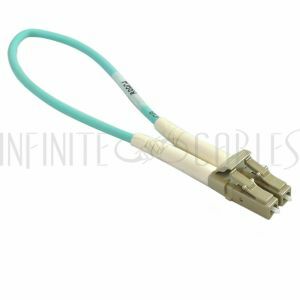 Simplex cable consists of a single fiber optic strand. 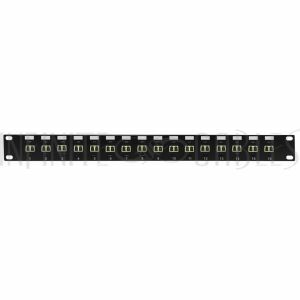 Data is transmitted in only a single direction, transmit to receive. 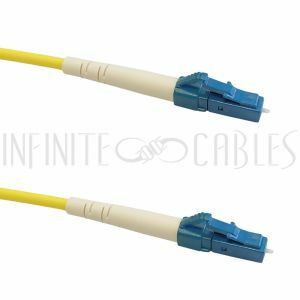 Duplex cable consists of two fiber optic strands side-by-side. 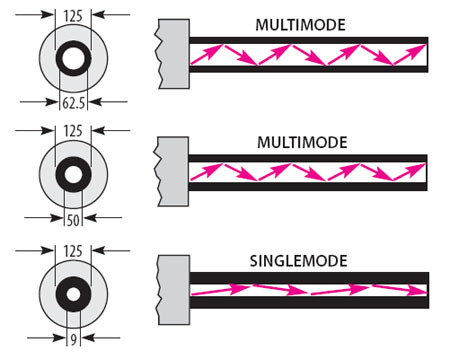 One strand goes from transmit to receive and the other strand connects receive to transmit. 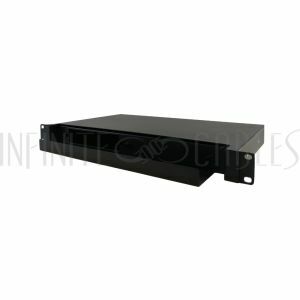 This allows bi-directional communication between devices.